A lot of people tend to confuse bookkeeping with accounting. But these two functions are different, well, to some extent. While accounting is a more senior organizational function, bookkeeping is more associated with small and medium businesses. This is one of the main differences between these two functions. To help you know what to expect from a bookkeeping role, I have compiled a full list of the roles, education, and competencies of a typical bookkeeper. If you intend to engage a bookkeeper or you already have one, you might want to keep this as a checklist. Away from their educational background, they should be able to perform the tasks listed below. Note that depending on what you agree upon, the tasks may be less or more than the highlighted one. But generally, here’s what to expect from a bookkeeper. Lastly, a qualified bookkeeper should have certain key skills and competencies. In summary, prior to engaging a bookkeeper, ensure that you bring them up to speed with what you expect from them. If for some reason, they are not able to meet some of the roles or qualifications highlighted above, you may need to think twice about their suitability. 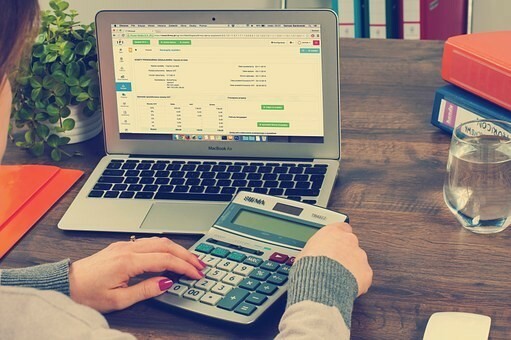 But while this post provides a description of the bookkeeping role, as I mentioned earlier, you may need to tweak it to fit your business setup. PROFIT MATTERS LLC IS NOT A CPA FIRM. WE DO NOT PROVIDE ATTESTATION OR ASSURANCE SERVICES. Copyright 2019 Profit Matters LLC | All Rights Reserved.